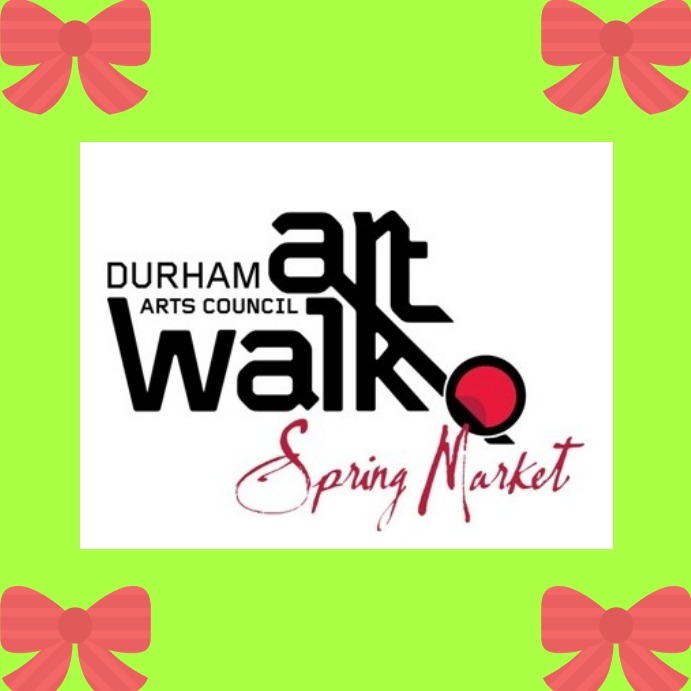 Durham Art Walk Spring Market 2016 happens Saturday April 30 (10am-5pm) and Sunday May 1 (1pm-5pm). This biannual Durham Art Walk gives art lovers an opportunity to browse and buy art locally made in Durham. Find ceramics, clothing, glass, jewelry, painting, and other unique goods to jazz up your wardrobe, brighten a room, or give as a gift. The Durham Art Walk Spring Market also features live entertainment and activities all in Downtown Durham. The Durham Art Walk is a perfect place to shop, explore, and be inspired. The Spring Market is a festive fine arts and crafts event that celebrates this beautiful season in the Bull City. Visitors enjoy listening to live musical performances while tasting delicious food at numerous downtown Durham restaurants and food trucks. Rain or shine, this event is free and open to the public. businesses and fascinating historic sites. Visitors can purchase fine art and crafts at many downtown Durham sites including Durham Arts Council, Vega Metals, the Durham Armory and more! bus that travels downtown. The Connector does not run on Sundays. Art helps us to share thoughts, ideas and visions that may not be able to be articulated any other way. Art offers us a reason to come together and share in an experience. We need art to keep us connected. The YouTube video below was produced by the Durham Visitors Bureau. Stay connected to loved ones when you experience together the comforts and pleasure of Morehead Manor Bed and Breakfast in Durham. We welcome you to the Bull City. We love hosting guests from all over the world. We look forward to your visit. This entry was posted in Uncategorized and tagged art lovers, Bull City, Bull City Connector, downtown Durham, Durham Art Walk Spring Market, Durham Arts Council, live musical performances, Morehead Manor Bed and Breakfast, shopping by admin. Bookmark the permalink.